1. Picture perfect: Kodak to back Team Penske: Eastman Kodak Company will serve as an associate sponsor of Team Penske's IndyCar Series entries driven by two-time Indy 500 champion Helio Castroneves and 2006 Indy 500 winner and three-time IndyCar Series Champion Sam Hornish Jr.
"Our 2007 racing sponsorship program with Penske Racing will boost our brand visibility with key segments of motorsports fans," said Kodak's Gregory T. Walker, director and vice president, Presence Marketing and Multicultural Marketing, Corporate Marketing Office. "Helio and Sam are both Indy 500 champions with large, loyal followings. We're proud to support their 2007 campaigns." Kodak's sponsorship on both of Penske's entries competing in the 17-race 2007 IndyCar Series Championship will be its first in IndyCar Series racing. Castroneves and Hornish also will take part in promotional appearances on behalf of Kodak. "We are thrilled to expand our relationship with Kodak in 2007," said Tim Cindric, President of Penske Performance, Inc. "Adding Kodak to our list of marquee brands supporting our IndyCar (Series) program further demonstrates the success of our platform." The sponsorship deal was announced as part of Kodak's long-standing agreement with Penske Racing. The deal also covers the team's involvement in NASCAR with driver Ryan Newman. 2. Meijer to sponsor Patrick, AGR in 2007: Meijer will continue its sponsorship of Danica Patrick as she moves to Andretti Green Racing for the 2007 IndyCar Series season. The Midwest-based retail and grocery chain announced it will serve as an associate sponsor on the No. 7 Team Motorola Honda-powered Dallara driven by Patrick. It is the second consecutive year that Meijer, a longtime IndyCar Series sponsor, will be on the car of the 2005 Bombardier Rookie of the Year for the full season. "We're proud to welcome Meijer to our team for the 2007 IndyCar Series season," said Michael Andretti, who co-owns Andretti Green Racing with partners Kim Green and Kevin Savoree. "Meijer has 176 stores throughout the Midwest, and the IndyCar Series schedule puts our cars in some of Meijer's most important markets. We hope to get them into victory lane in 2007." 3. Defending champs finish second: The team of Tony Kanaan, Dan Wheldon, Felipe Giaffone and Rubens Barrichello came up short in their bid for a third consecutive 500 Milhas Granja Viana title. The defending championship team finished second behind the team of Otavio Bonder, Antonio Francesco Ventre, Jose Eduardo Ventre, Bruno Pacetti and Lucas Rodrigues in the 10th annual charity karting event near Sao Paulo, Brazil, after more than 10 hours of intense racing at Kartodromo Da Granja Viana. "Only the people who don't know the Brazilian karting arena can be caught by surprise with the results," said Kanaan, a six-time winner of the event. "These guys are professionals and know perfectly how to get the job done. I guess we will have to prepare a little bit better next year." The team of Panther Racing's Vitor Meira, Christian Fittipaldi and Mario Haberfeld finished 13th. 4. Foyt car featured in Tall Texans exhibit: Four-time Indianapolis 500 winner A.J. Foyt is among the native Texans being honored at the George Bush Presidential Library and Museum in College Station, Texas. "100 Tall Texans" -- reflecting those who made significant contributions to their state and the world -- are featured in a sprawling exhibit on display until March 18. "100 Tall Texans" includes one-of-a-kind artifacts highlighting the achievements of Texans in business, sports, the arts, politics, women's rights, science, medicine and space exploration. The collection includes a Foyt Indy-style car, boxer George Foreman's title belt, Norman Borlaug's Nobel Peace medal, the golf club used on the moon by astronaut Alan Shepard, and artwork of Robert Rauschenburg, Tom Lea and John Biggers. 5. Crews joins SWE Indy Pro Series team: Dreaming big has never been a problem for CR Crews. He graduated early from an elite preparatory high school in Dallas and made his Indy Pro Series racing debut just five days after his 18th birthday. Now, he has his sights set on a full Indy Pro Series season in 2007 and possibly becoming the youngest starter ever in the Indianapolis 500. On Dec. 1, Crews' plans for 2007 continued to take shape when he signed to drive with SWE, formerly Part Sourcing International, to compete in the entire 16-race Indy Pro Series schedule. "It's great to have been able to put something together so early in the year," Crews said. "We've already had two tests, I'm in the shop everyday developing a relationship with the team - it's a good head start to next year. 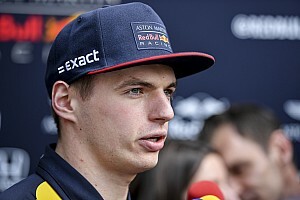 I think we'll be fully capable of winning a handful of races and be able to compete for the championship." Crews, who finished ninth in his Indy Pro Series debut last June at Watkins Glen and sixth on the road course at the Indianapolis Motor Speedway, recently relocated to Brownsburg, Ind., so he can go to SWE's new "state-of-the-art" race shop every day. Crews' dreams are as big as team owner Steve Eppard's, who formed the Part Sourcing International team midway through the 2006 season. 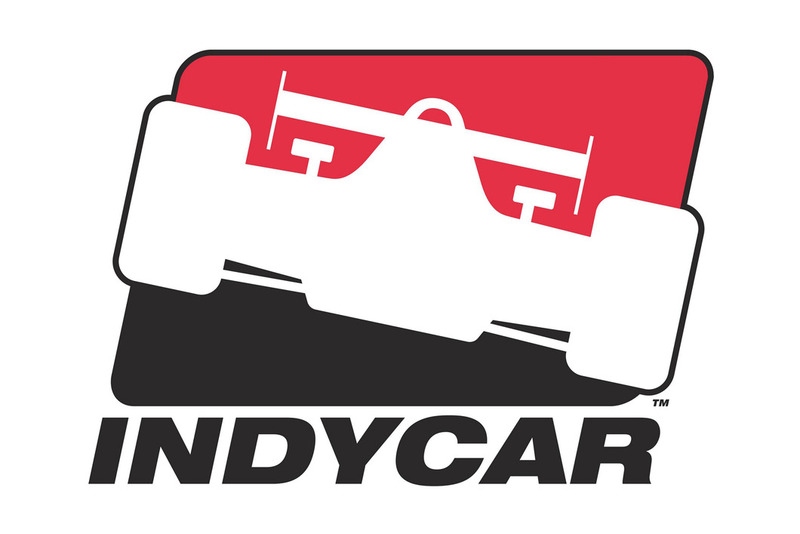 "After years of being involved with the Indy Racing League in various capacities, from a transmission specialist to an approved manufacturer, I am most excited to participate as a full-time Indy Pro Series team owner in 2007," said Eppard, whose team garnered four top-10 finishes in six starts. "CR impressed me with his ability to adapt to very difficult situations with new teams and equipment at each event," Eppard said. "CR consistently moved forward to impressive finishes and did not damage any equipment. While he is only 18, his technical and his driving experience are well above anyone else I have ever worked with at his age. "This team is going to be special, and I believe I have found a driver that is absolutely capable of fulfilling my goal of winning in the Indy Pro Series in 2007." 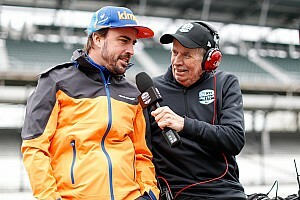 The partnership may also include an opportunity to compete in the 91st Indianapolis 500. 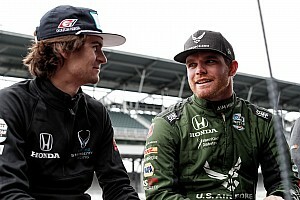 "We've been approached with a couple of opportunities surrounding the Indianapolis 500," Eppard said. "The Indy 500 is a very realistic possibility at this point," Crews said. 6. Boat racer hopes for smooth transition to Indy Pro Series: Paul Guadagnoli has had his eyes on the IndyCar® Series since he was a young boy. Like most racers with similar goals, he started racing go-karts at age 10. But, that's where the similarities end. While most young racers progress into formula cars or sprint cars, Guadagnoli took to the water, earning 16 national titles and setting several world records while racing hydroplane boats. Now, the 19-year-old plans to compete for his share of $3 million in prize money in the Indy Pro Series in 2007 with an eventual step up from the development series to the IndyCar Series and the Indianapolis 500. Guadagnoli took the first step towards that goal by earning his rookie license in a private test with Brian Stewart Racing on the 1.5-mile, high-banked oval at Homestead-Miami Speedway on Nov. 22. Guadagnoli quickly brought the 420-horsepower car up to speed, averaging less than 29 seconds per lap (about 190 mph). "Paul was very fast at the test, very smooth," said Indy Pro Series technical director Butch Meyer, who issued the rookie license. "The kid's a natural. Everyone was very impressed." Everyone except perhaps Guadagnoli himself. "It's a pretty easy transition to make," the Deville, La., native said, downplaying the jump from boat to race car. "After about 15 laps, it all came really slow." After competing in the highly competitive arena of boat racing where as many as 400 or 500 boats can show up on a weekend, Guadagnoli is happy to get the opportunity to pursue his goal on pavement. "That's always been my dream since I was about six years old, IndyCars," Guadagnoli said. "When I turned 11, I really started having this drive for them, and I begged my dad and begged my dad, but he wasn't into it. He was into the boats. His dad was into the boats. So I said, 'I want to race something,' so I started racing boats." Persistence and success have paid off for Guadagnoli who continues to raise sponsorship for the 2007 Indy Pro Series season. "My goal is to be racing in the IndyCar Series," he said. "I really love the Indy Pro Series. If that's what it takes, to run those two or three years, I'm definitely going to do it. It's really a good place to start." The 16-race Indy Pro Series season, which features seven races on ovals, seven on road courses and two on street courses, begins March 24 at Homestead-Miami Speedway.